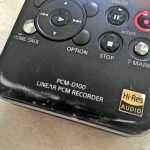 I've been meaning to write a review of the Sony's PCM-D100 portable audio recorder for some time now. 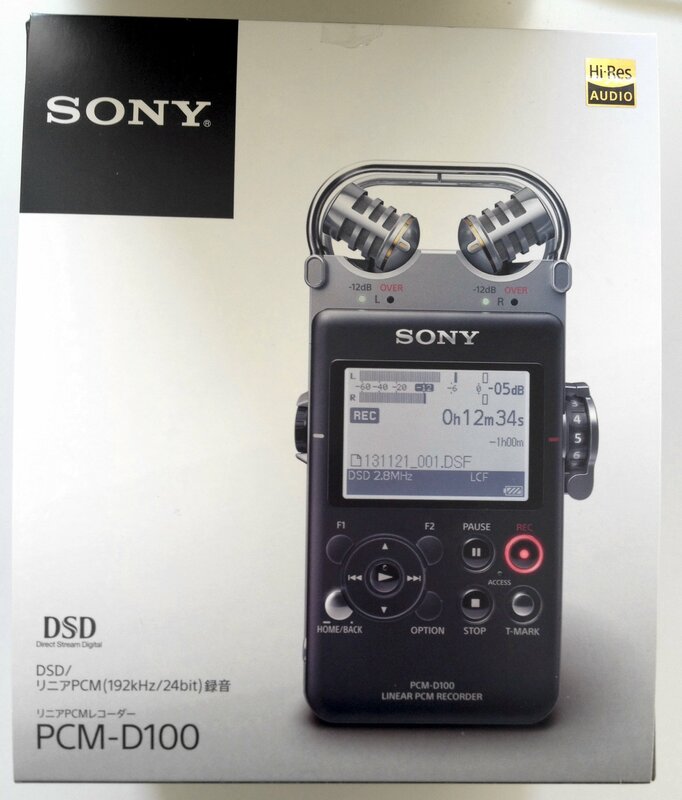 The D100 is the successor to Sony's popular PCM-D50 model. The D50 is known for its excellent sound quality, impressive battery life, and sturdy construction. 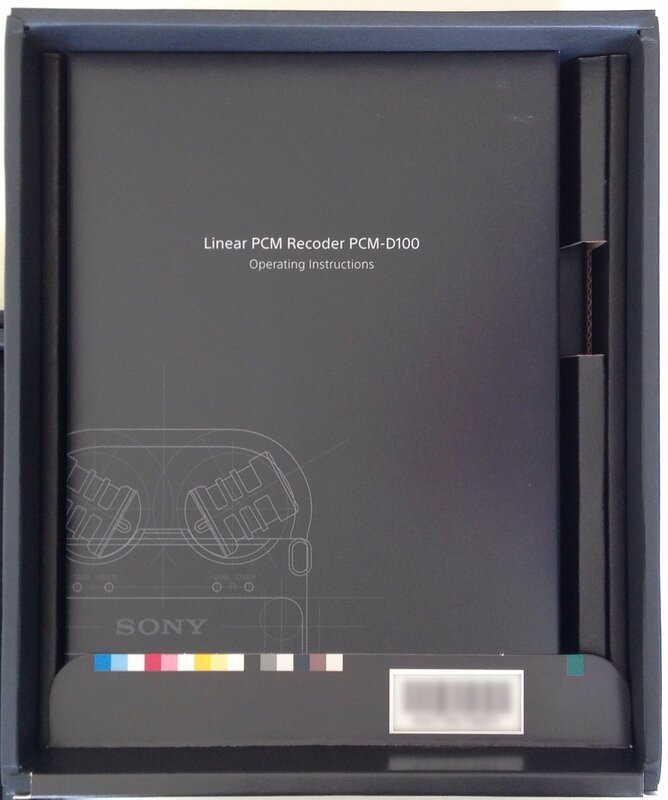 How does the PCM-D100 (US$775) measure up to its older brother? This article will take a "deep dive" into the D100 to learn what's new, what's changed, and how it performs in the field. It also includes dozens of field recordings from the D100 and other recorders that you can download and experiment with yourself. 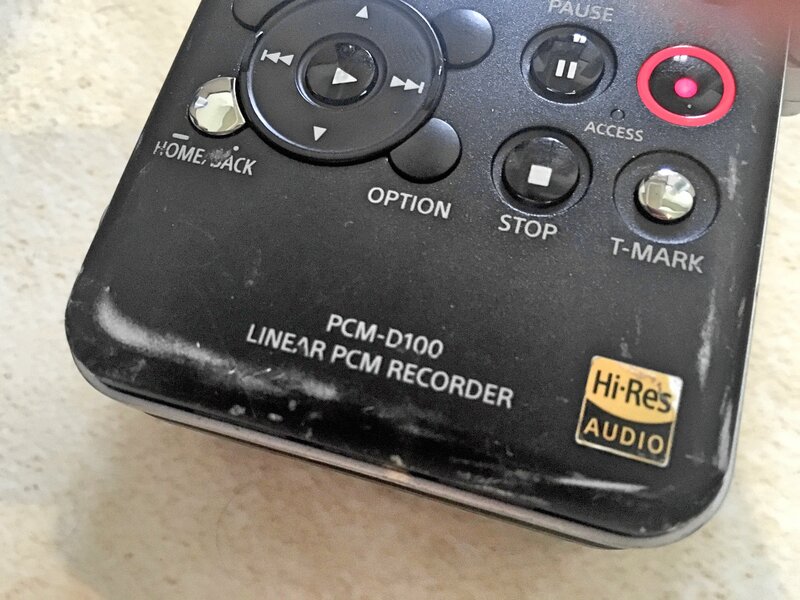 So, settle in and join me to explore this popular portable audio recorder. Please note, I'm very detailed. This is an in-depth review that will take approximately 24 minutes to read. If you prefer, click the link below to email yourself a copy to read later. I've had the unit for perhaps a year or so. I've now had time to test most of the recorder's features repeatedly with a wide variety of sound effects in many different situations. 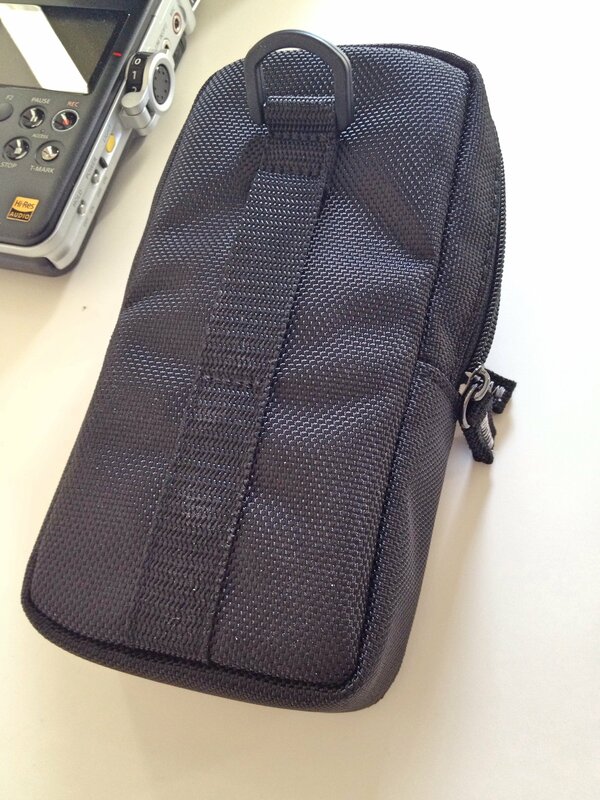 I've compared it with other portable recorders and even pro external microphones. Note that some comments here are editorialized with my personal opinion. Just the same, there will be enough data here to draw your own conclusions. 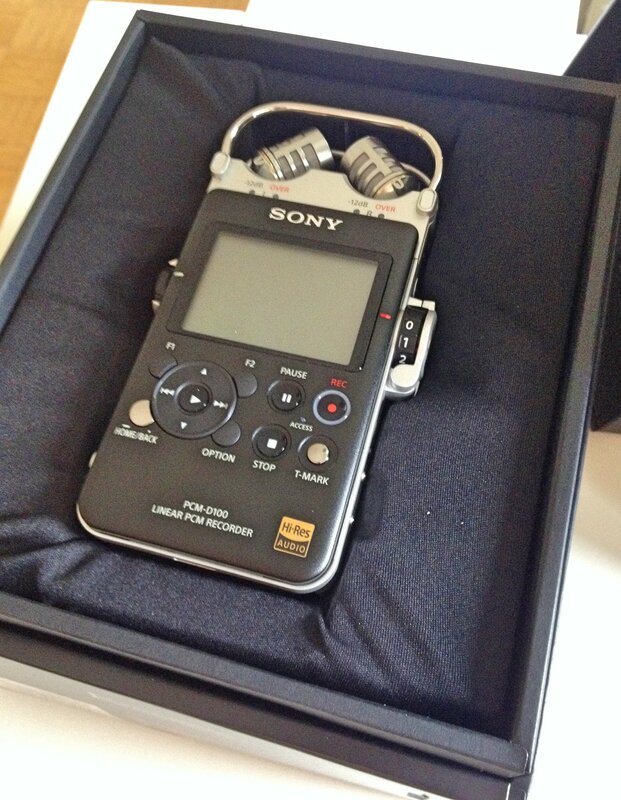 A further note: some may use the D100 to capture music or dialogue. 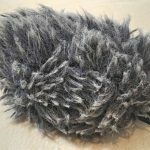 This review considers the unit from a specific perspective: field recording sound effects beyond the studio. 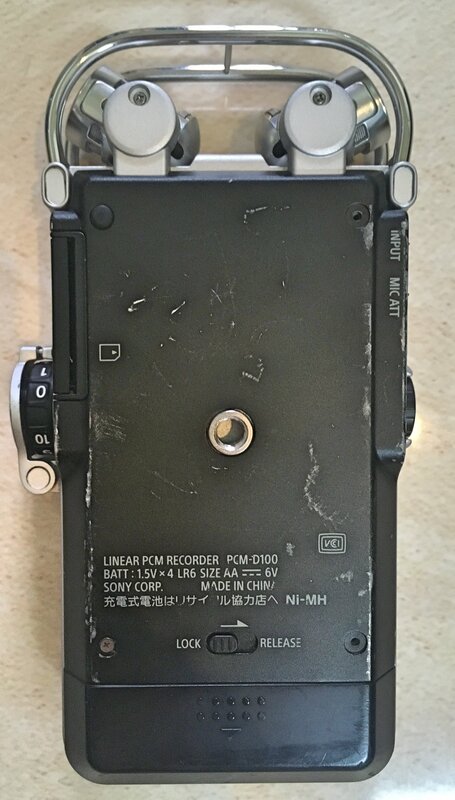 The D100's older brother, the Sony PCM-D50, appeared to be designed specifically to surpass the limitations of most portable recorders. 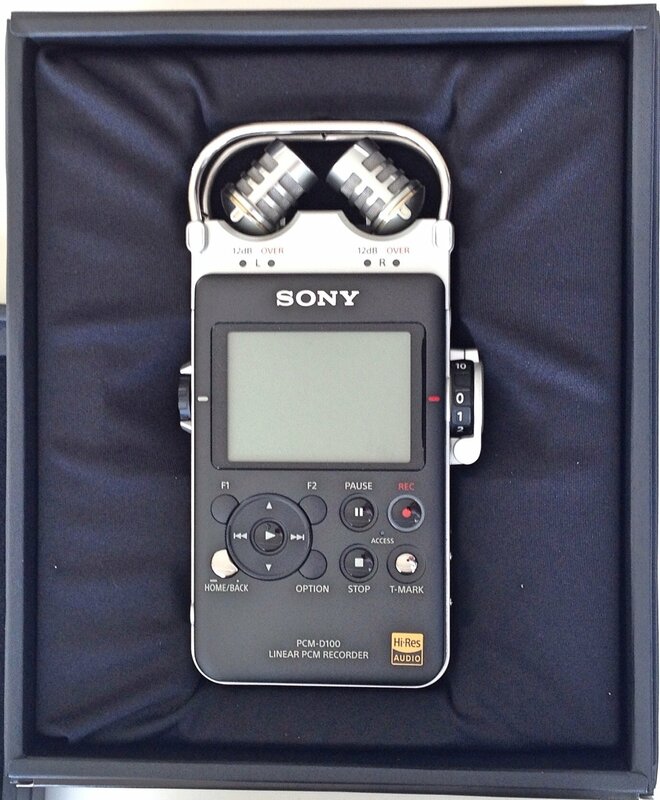 It was created to record high-quality, low-noise audio in a professional-grade unit. It was about $650 when it was released. I reviewed it on the Airborne Sound blog at the time (article one, article two). The D50 is an excellent recorder. At first glance it appeared pricey. However, the audio quality was the best amongst its peers, and the certainly the best for under $1,000. 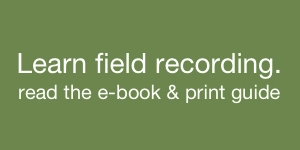 Just the same, my review noticed a number quibbles for capturing sound effects in the field. Since then, Sony has been hard at work. They addressed almost every concern in my post, and more. For this review, I'll describe what's changed between the D50 and D100. I'll also share new features of the D100. 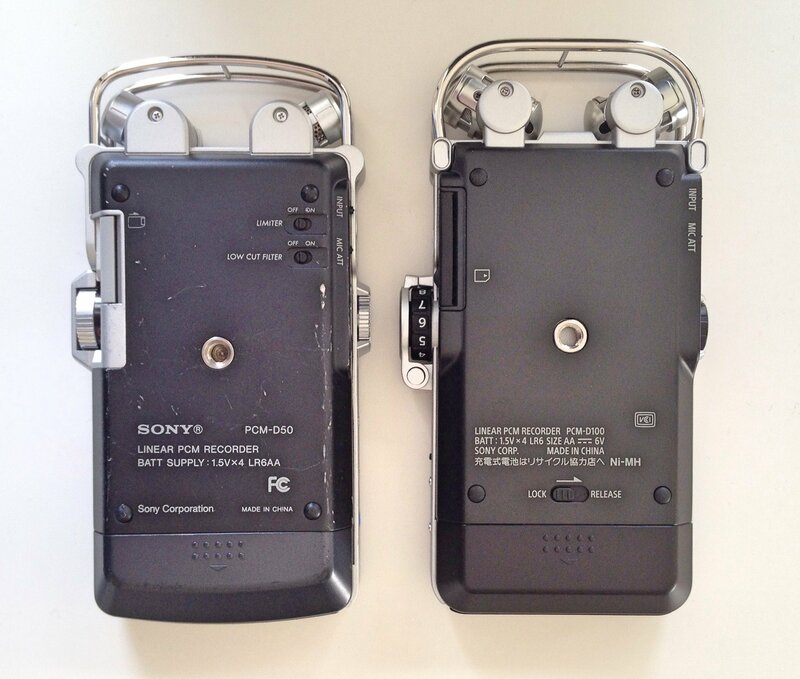 I'll include field recording samples and A/B comparisons. 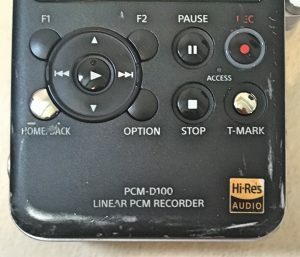 Finally, I'll conclude with observations and pros and cons the recorder. D50 and D100 visual comparison. Limiters and S/N 100 dB. 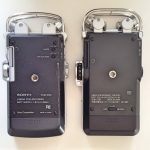 D100 vs. DPA 4060 with Sound Devices 722. 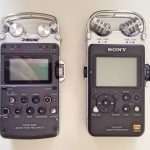 D100 vs. DPA 4060 with Sound Devices 722 vs. Røde i-XY. 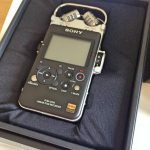 The D100 arrives packaged like the pro device Sony claims it to be. The recorder rests on a bed of satin cloth with the manual and accessories hidden beneath. 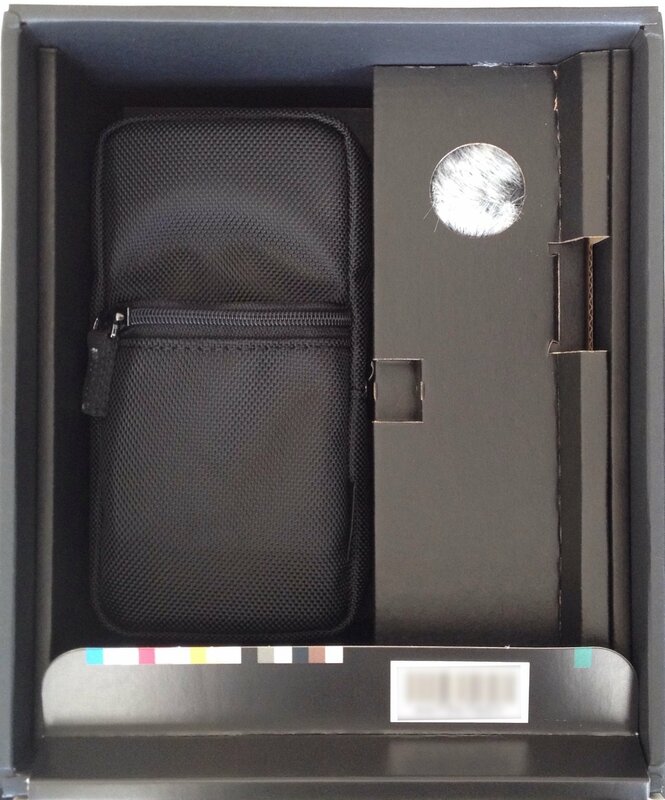 It matches the packaging experience of Apple, Twelve South, and Drobo products. 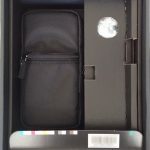 Here's a gallery of the D100 packaging and unboxing. The first thing you'll notice is that the D100's built-in 15mm electret condenser stereo microphones are much larger and chunkier than the D50's previous offerings. 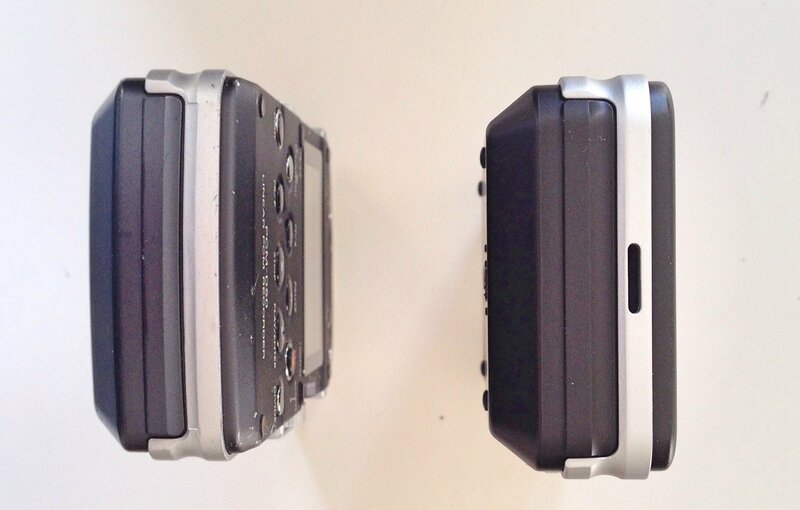 As with the D50, they can be swapped between two positions: 90 degrees and 120 degrees. Like the D50, the D100's microphones move solidly in place. They've remained firm despite nearly a year of shifting them back and forth. This is in contrast to my experience with the Zoom H4n's microphones, which I found loose and wobbly after repeated use. What are the tech specs of these microphones? Unfortunately, it's difficult to know. Strangely, the manual lists full specifications for every other input of the device (say, the optical jack, or the line in), but does not list the signal-to-noise ratio, THD, or frequency response for the onboard microphones. I'm skeptical of the stats on the product page, which lists that they're 20 Hz – 20,000 kHz with 128 SPL if only because that data was omitted from the manual in the first place. 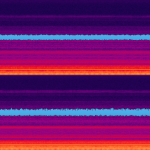 So, the spectrograms would suggest that the D100 can capture the full spectrum of 96 kHz. But do the microphones perform well at all frequencies? Who knows. The D100 provides significant hardware improvements. The display is much larger. It's brighter. The resolution is better. Information is organized more clearly, and is easier to read. 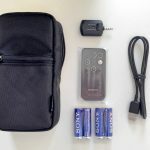 The device improves upon battery storage as well. It shares the same 4 AA battery sled as its older brother. However, the tray is now protected by a sliding lock. More than once while stealth recording I've jostled the D50's battery door, releasing the tray into my bag and killing the power. So, the lock is a nice touch. There is now a small speaker in the base of the device. 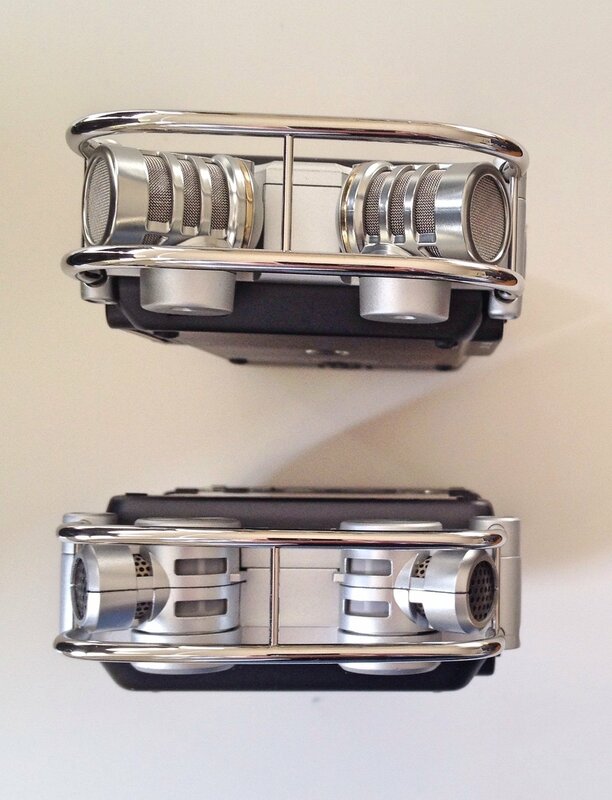 It won't match the monitoring clout of a pair of Genelecs, of course. However, it's helpful as a guide, to share tracks with others, or if you've forgotten your headphones at home. The manual doesn't list the frequency response of the speaker, but it's certainly good enough in a pinch. However, the housing does transmit handling noise. I suppose that's the trade off from having an aluminum enclosure. Unlike the D50, I've found it's not possible to hold the recorder without introducing movement into the recording. There's a Rycote grip that sidesteps this issue. The D100 includes significant improvements to the gain level dial. For the first time, stereo levels can be adjusted independly. The left and right levels are ganged, and move together when rotated. Want to adjust them independently? Simply press the inner dial lightly and rotate. Wait, won't the dials free-wheel independently, causing mis-matched levels? Fortunately, that's not the case. A plastic guard swings over the gain dial, protecting the levels from being offset, or being moved at all. I find this incredibly helpful since I am pretty reckless with my tossing D100 into bags and so on. The levels haven't been budged once. 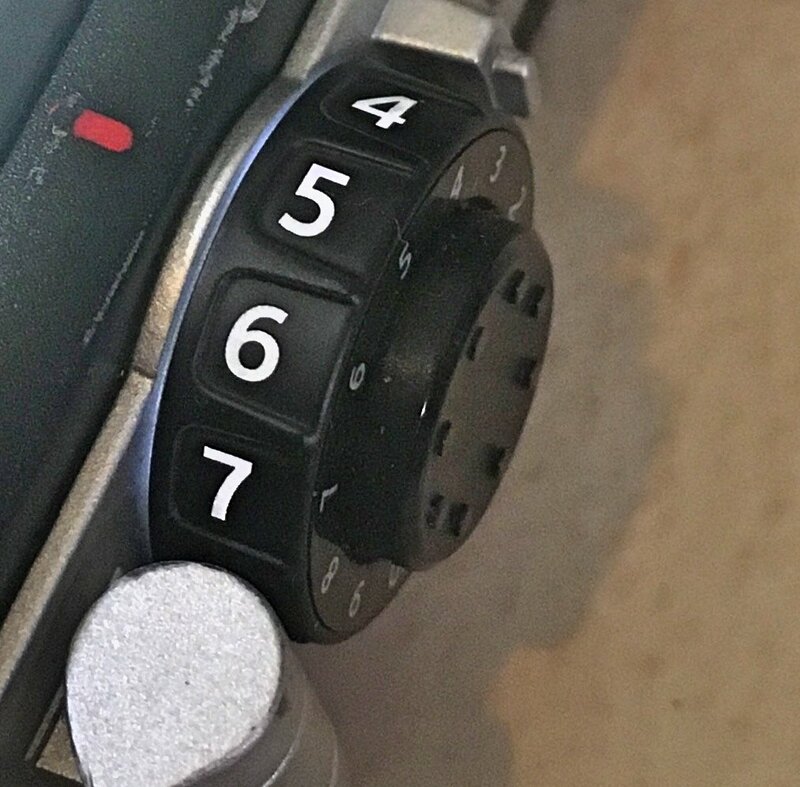 A small quibble I had with the D50 was the inscrutable red-on-black gain dial numbering. That was hard to see in the best of occasions, and impossible to view in the dark. This has been fixed on the D100. The numbers are white. What's more, the light button (now helpfully relocated to the right side of the unit) actually illuminates the gain numbers from within. The gain dial also features ridged lines between each number. Often field recordists need to record in the dark, or without looking at the device. The ridges are helpful to find your way by touch. The volume dial on the left of the unit has a bit more play than the gain knob, and is protected by plastic guards. The transport controls are now in a finger-friendly joystick pattern that include tactile identification bumps. This is another benefit to those of us that record blindly, or in low-light. This is a vast improvement to the D50's two-line staggered button arrangement. Sadly, the "Divide" button has vanished from the device. That was a helpful way of immediately ending a recording and beginning a new one with a single button press. It's been replaced by a "T-Mark" ("track mark") button which, when pressed, places a marker in the timeline. Up to 98 marks can be dropped into a single recording, which may then divide the track via sub-menus, later. Note: this function allows one to "interrupt" the dividing process, however this caused the unit to crash, reboot, and corrupt the file. Also added are two function keys. You can set these buttons to change whichever preferences you want. For example, I set a function key to toggle pre-roll. There's also an "Option" button, which works kind of like a MacOS contextual menu, or a Windows right click. Pressing it overlays a menu on top of the record screen with options that vary depending on what you're doing at the time. 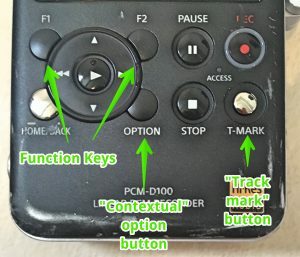 The D100 also omits the "Display" and "A/B Buttons" from the D50 version. I don't particularly miss them. There's no need to rotate through display data any longer anyway; all info is already presented on the generously sized screen. A/B auditioning still exists as a feature, but has been moved to a software menu. 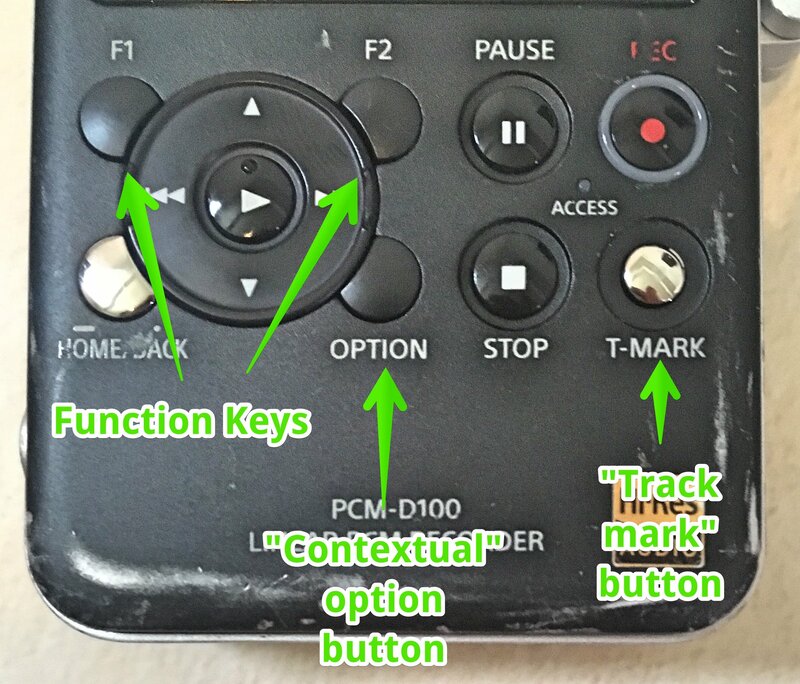 Overall, I find the D100's hardware interface greatly improved over the D50. The D50 shipped with somewhat restrictive 4 GB of memory built-in. The D100 improves on this by offering 32 GB hardwired to the unit. In addition, the unit is no longer limited by the D50's MemoryStick-only expansion options. It also supports the cheaper and more common Secure Digital format in the same memory slot. 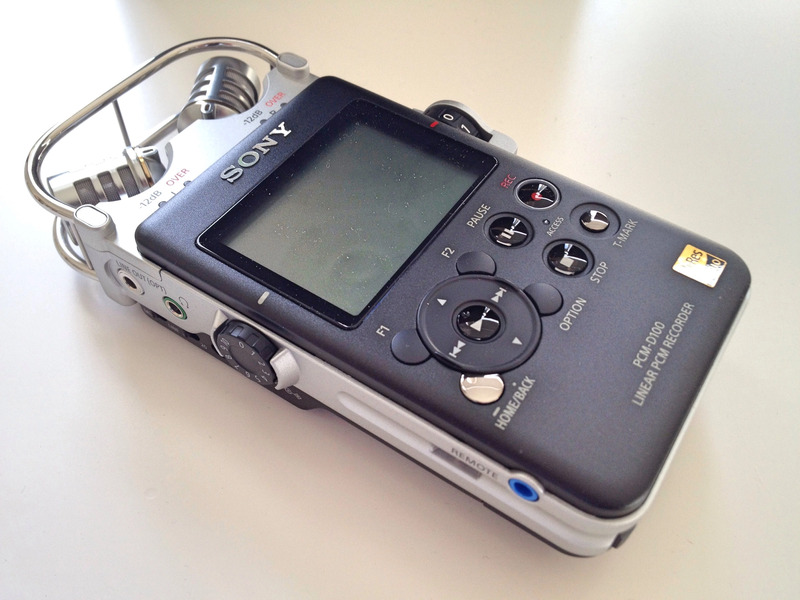 Previously, recordings would end when audio filled the D50's 4 GB memory. Users would have to manually switch to external memory, then continue recording. In another significant improvement, the D100 allows recordings to spool from one memory format to another uninterrupted. The D100 uses a new type of USB interface: Micro-B as compared to the D50's Mini-B. Connecting the D100 via USB to a computer automatically powers on the unit and mounts it on the desktop, whether the physical power switch is on or not. The D100's software offers a number of new features. One often-overlooked software features is start-up time. How does the D100 do? I've been grateful for the vastly improved start-up time when trying to capture those elusive, hard-to-catch sound effects. Is it easy to use the software? 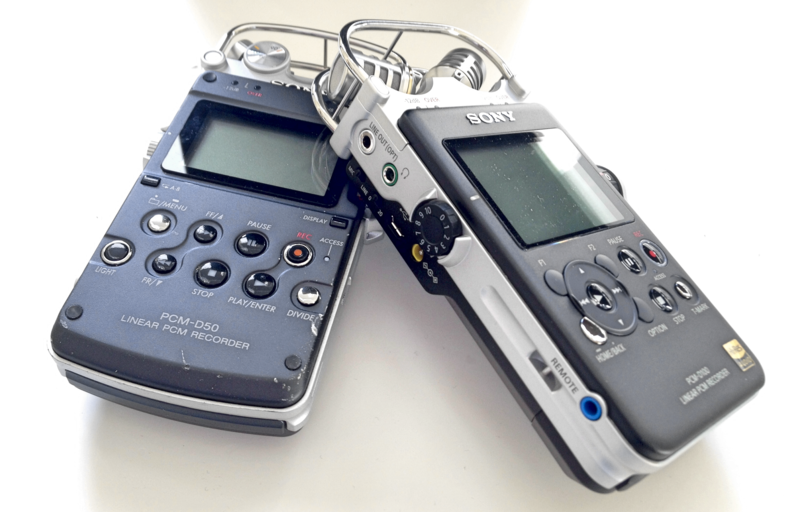 After all, not every field recorder has the most friendly menus or convenient software. I found the menu system more organized and easier to navigate. This is helped by the joystick-style browsing buttons. In a nice touch, the D100 has moved a few of the D50's hardware switches to software selections. While at first it may seem cumbersome to scroll through menus to select options, doing so avoids accidental bumping and switching of the hardware switches. The D100 adds a provocative new feature: S/N 100 dB. At first this seems like a stunning advancement – who wouldn't want a signal-to-noise ratio of 100 decibels? Actually, this feature is not exactly what it may first appear: a description of the recorder's noise floor capabilities. The title's a bit misleading. Instead, it's actually a clever kind of limiter. I'll explain: the D100 is always recording two levels at the same time. One of them is the level you set with the gain dial. The software records the second at precisely 12 dB lower than the levels you set. When the original level peaks, the software simply grabs and uses the healthy, lower level instead. This is how the D100's standard limiter operates. 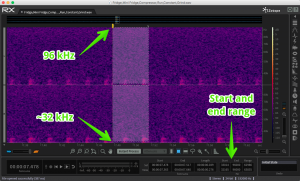 So, if you are recording a conversation at, say, -6 dBFS, then a someone yells to bring the signal above 0 dBFS, the D100 will smoothly swap out the distorted yell for the second, lower-level signal it is also recording at the same time, saving the recording. It will then switch it back when the louder levels diminish. 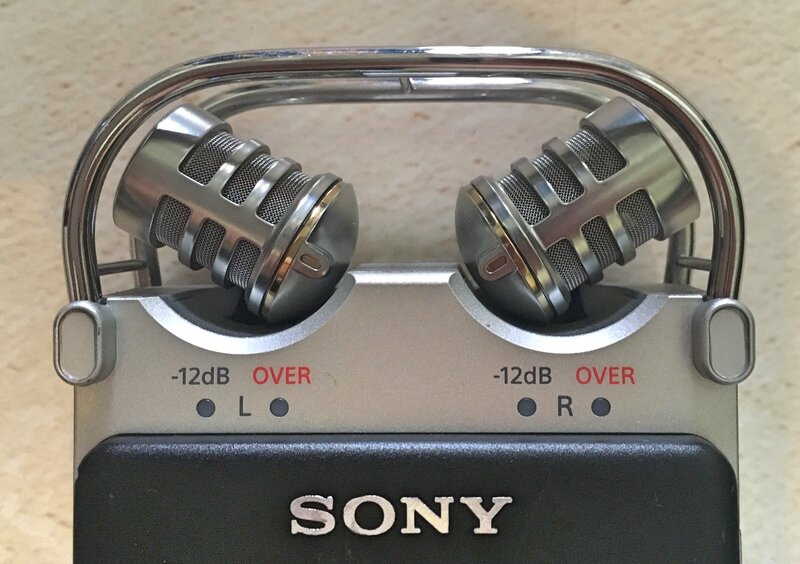 The S/N 100 dB's setting is similar, but since it is intended for quiet sounds, it works the opposite of the limiter. It will always record with the lowest of the two levels it is capturing, but then switch to the louder version of the two when it detects prominent audio. So, let's say you are recording a quiet clothing rustle. The S/N 100 dB's setting will standardly use the quiet level, keeping the "noise floor" low. 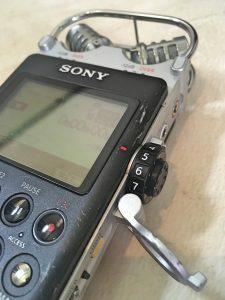 When it detects audio from a fabric scratch, it will switch to the louder (+12 dB) gain dial level to capture it, then diminish to lower level when the cloth shuffle ends. The result? 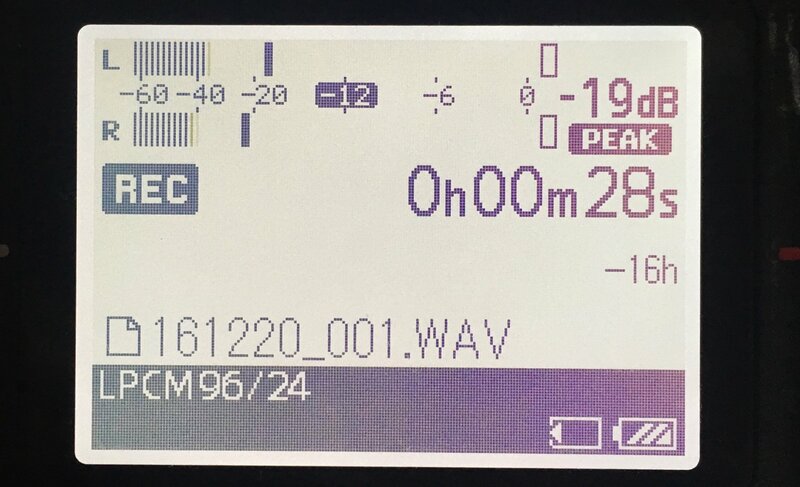 The recording will appear to have a lower noise floor when no significant audio is present. Now, please be aware that a precise description of how this feature operates is nowhere to be found either in the manual, the official website, or anywhere on the Web. 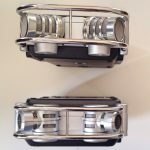 I reached out to a Sony rep, but was unable to connect by the time of the writing of this article. So how do I know the S/N 100 dB function works this way? Well, in absence of an official explanation, I extrapolated that from information available to us now. I’ll share that research in a following article. Any Sony rep is welcome to contact me with clarifications. 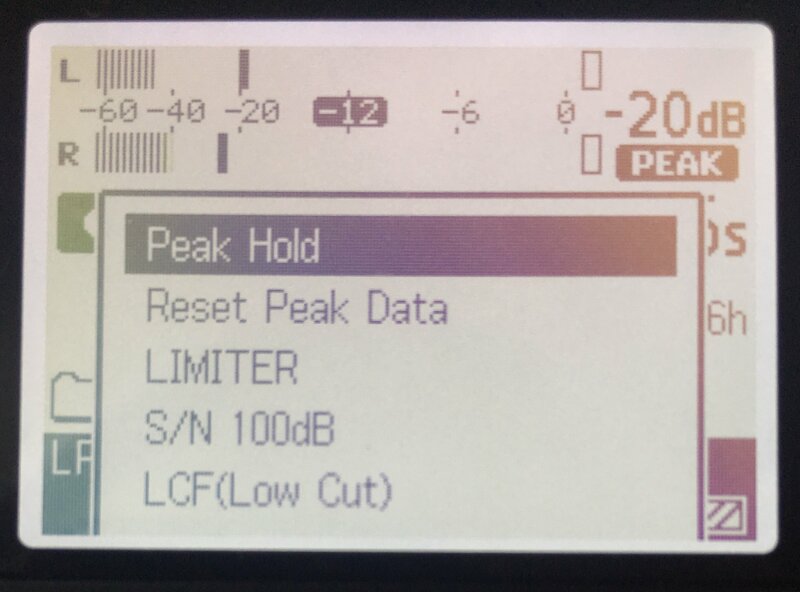 Anyway, as with any type of limiter, it's important for field recordists to know that sound effects captured with the S/N 100 dB feature will be "manipulated" or "processed." After all, the "levels" are automatically adjusted by software. This is why some poor limiters create a "pumping" sensation. That may be helpful for music, but it is typically best avoided for most field recordings (your own milage may vary). 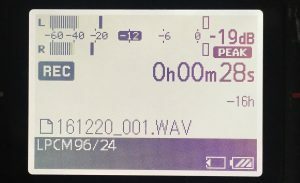 So, just be aware that the S/N 100 dB setting doesn't indicate that all of your recordings will experience a signal-to-noise ratio of 100 dB. That would be pretty impressive. 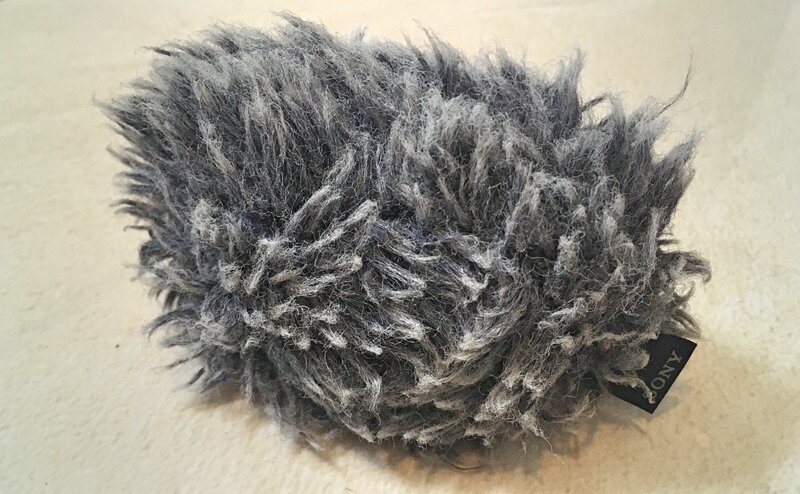 After all, one of the quietest microphones around, a Sennheiser MKH 8040, has "only" a S/N ratio of 72 dB (i.e., equivalent noise level of 22 dB). 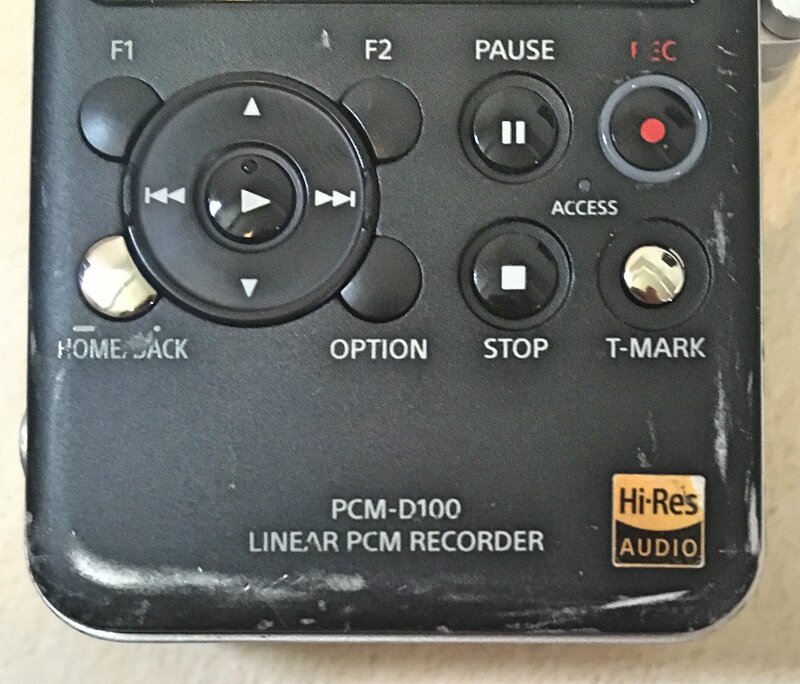 The D100 can record up to 192 kHz, 24-bit resolution. In addition to recording in WAV and MP3, it now records in the DSD format. Originally designed for "super audio CDs," this is an advanced recording format developed by Sony. It records at 6x CD-quality. While this sounds appealing, note that few editing apps can play back DSD in its native format. That means the audio recorded must either be used forever on the D100, or be converted to another format to hear it (thus losing the DSD format's benefit). The D100 can play (but not record) additional formats: FLAC, WMA, and AAC. 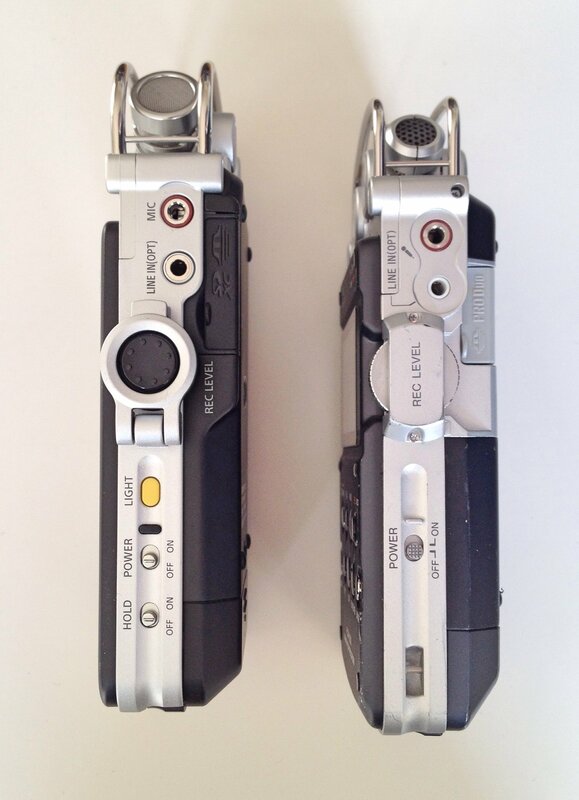 The unit is capable of recording two formats at once. There's a new, helpful playback bar which shows the current playhead position. 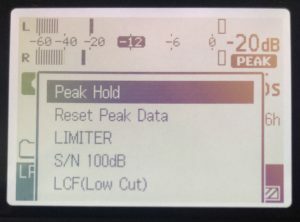 In addition to the standard limiters and filters, the D100 includes some bonus features not commonly used for field recording: playback speed, key control, effects (e.g., bass, jazz), playback tone (pitch), fade clips in and out, combine files, and lock files. The unit will automatically power down when not in use, preserving battery power. Thankfully, the D100 comes with a windsock supplied. In truth, the unit is rarely capable of capturing audio outside without one. A windsock has been essential for any portable I've used, so including one with the D100 is a nice touch. It's takes some wrestling to fit it, but I appreciate the snugness. The D100 also includes a remote and transmitter for allowing transport controls to be operated from afar. I've used this a few times for stealth recording, and it works well with a decent range of perhaps three meters (about 10 feet). Others have reported far greater distances. The remote’s buttons aren’t the most responsive, so I find I have the best success repeatedly pressing buttons. The package also includes a nylon belt pouch. It's a bit of a tight squeeze; it is not possible to fit the recorder and windsock together. Note: readers have told me it’s possible to fit both the recorder and windsock into the holster pouch by sliding them in “head first.” I’ve tried it, and they’re right! Both can fit this way. 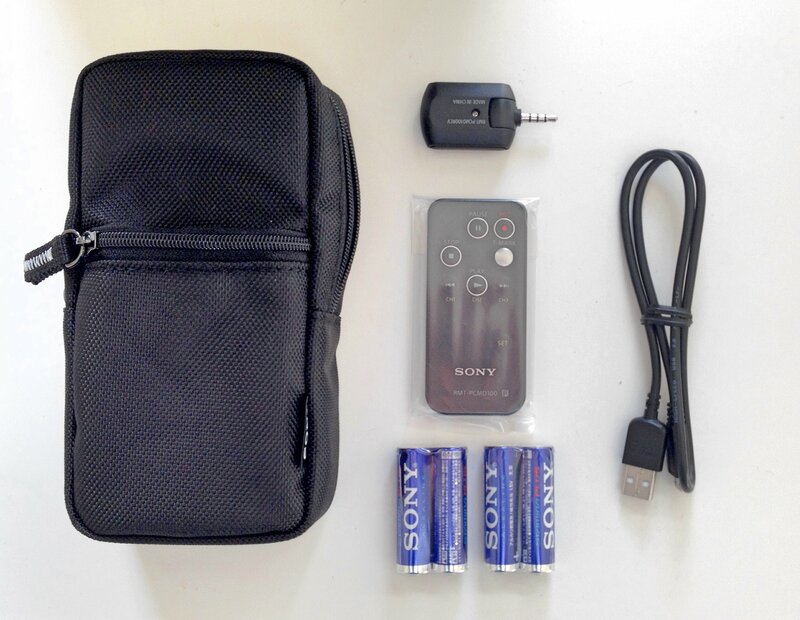 The unit comes with an AC adapter and 4 AA batteries. In this section I'll provide a number of samples, then follow with my observations afterwards. Every track is raw and unmastered with no processing or equalizing of any kind, unless noted otherwise. All clips are downloadable so you can test them in your own editing apps. Please note the HearThis previews included in this article stream at 320 kbps. 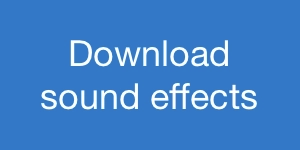 Download the original 96 kHz/24-bit versions to listen to full resolution files. 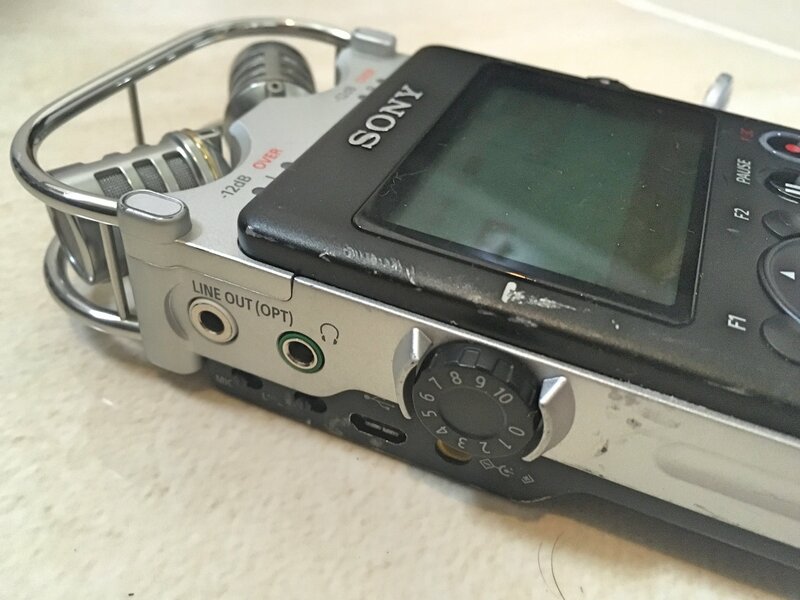 A Sony PCM-D50. A comparison to discover how the D100 differs from Sony's previous generation. 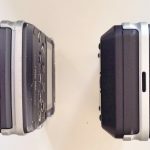 DPA 4060 omnidirectional microphones set at a strict A/B arrangement tracked to a Sound Devices 722 recorder. The 4060s produce good sound. They're considered a pro option. 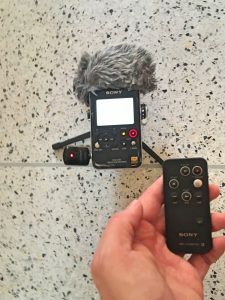 I sought to answer how the D100, as a prosumer recorder around $800, matches with a microphone priced at $1200 used with a pro recorder and preamp. A Røde i-XY recording through an iPhone 4S. The i-XY rings up at around $100. I compared this to the D100 to see if there was a significant difference in audio quality with a budget recording solution. There are also a few D100 samples without comparisons. Let's begin by comparing the D100 with a D50. In a way, this isn't a completely fair comparison. 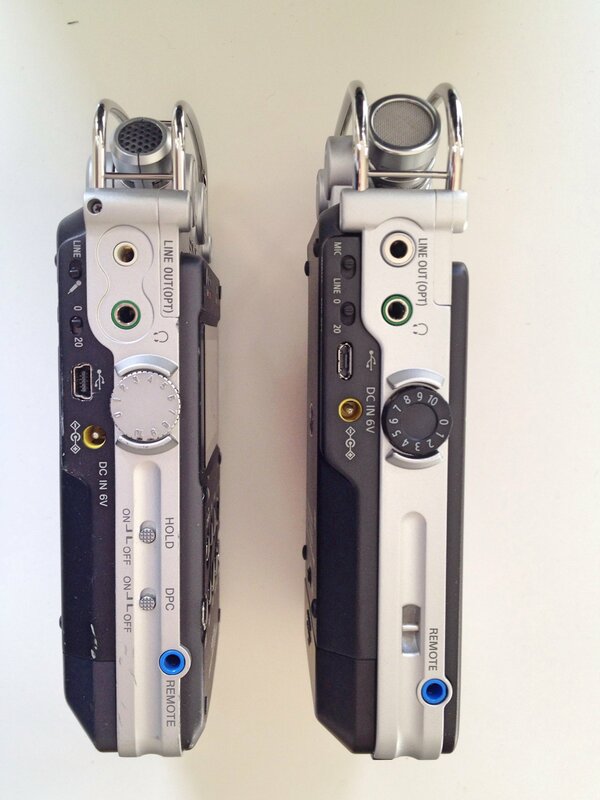 The two recorders use different generations of recording technology. 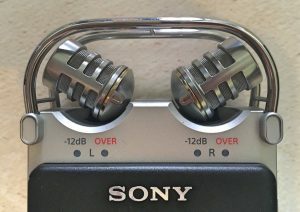 However, it is useful to learn how the microphones and preamp have changed between these premium Sony units. 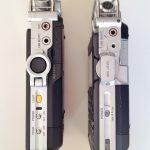 What's notable is the additional depth the D100's recordings provide. There is a greater sense of distance to the clip. Also, the imaging in the D100 is more pronounced: the cars are placed more accurately in the sound field. By contrast, the D50's sound feels like a flat wall. You can hear this in the smooth passes by: the D50's cars seem to travel in flat line, while the D100s appear have more of an "arc". Additionally, the tire ripple at 0:23 and the truck rattle at 0:32 carry more character in the D100. This is notable since many of us have been using the D50 for years and have been quite pleased with the results. That the D100 makes the D50 seem "flat" speaks to how impressive the D100's recording capabilities are. 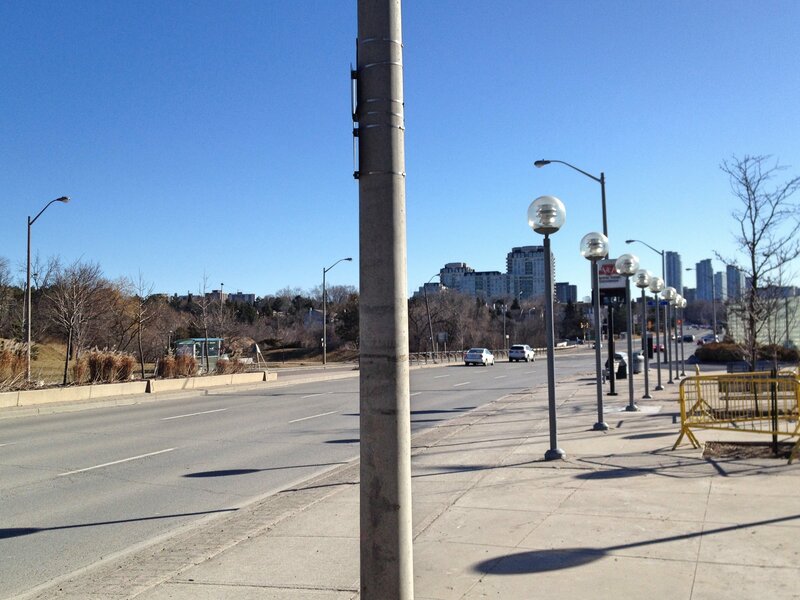 The next track was recorded in a neighbourhood and has more detail: a dog, voices, traffic, and so on. Notice that both recorders soak up ample low end. You can hear the improved spaciousness of the D100 in the positioning of the dog at the head of the track. Both recorders capture the race cars well, with the D100 again shining brighter with its superior soundstage. Note the D100's crisp clarity of the applause in the Formula 1600 track. 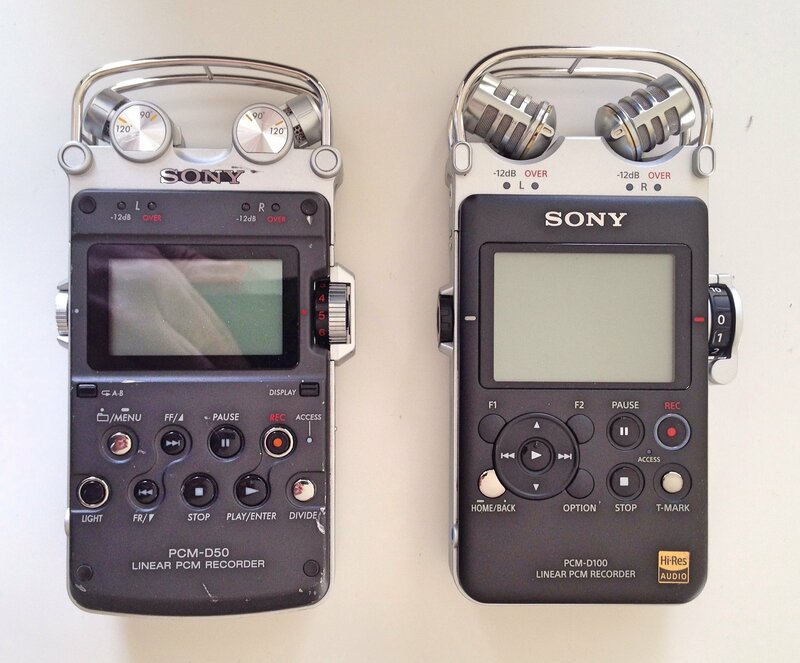 Both recorders capture a overwhelming wash of sound. While similarly thick, the D100 does feature better placement of the cutlery and the toddler voice. The D50 had similar trouble recording in reverberant spaces; tracks would become washed out and nebulous. I headed to a hospital atrium to learn if the D100 improves upon this feature. Naturally, the narrow setting isn't a practical decision for ambience recording. Recall that these tracks are unmastered. So, the recordings are understandably unpleasant. Part of this is the microphone setting. The recordings improve when the microphones are arranged at 120 degrees. You can hear more detail, with the D100 conveying a larger sense of the room. However, the room is quite vast and suffused with HVAC, which adds to recording challenges. I moved to a less troublesome environment to test the microphone settings: a museum lobby. I tested a pair of tandem tracks at both 90 and 120 degrees. This area wasn't as huge as the hospital atrium, which is likely why the tracks don't feel as washed out. You'll notice the D100 again feels more full, in both microphone positions. It seems to capture more of the sense of the room, as well as improved general richness. As you can hear, the crowd in this location is less washed out. The footsteps contribute more evidence of the D100's strength positioning sharp, specific sounds. One day management shut the water off at my apartment. I always use this as an opportunity to record air and water spurting from the faucets when the water flow resumes. Here are specific recordings of that, as well as a coffee maker. Note that the microphones were not placed in identical locations, so the imaging may differ. They were arranged at the 90 degree pattern. Again, you'll hear the richness in the D100. Interestingly, it also captures a more full representation of the spectrum of the water and air spurts, with substantially improved high end. This is also noticeable in the sizzling of the coffee maker track. 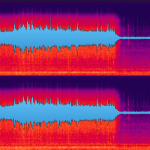 For reference, I recorded a dead room tone with both recorders. It captures almost complete silence with levels set at 3, 5, 7, and 9, and a variety of microphone positioning. 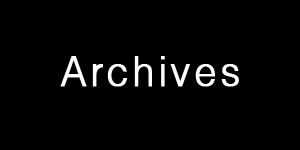 They're not particularly interesting to include in an embedded playlist, but you may download them here (321.4 MB) to examine them yourself. This is a good way to compare how much the preamp cuts into each track. You'll notice the D50's preamp noise is thick and full, while the D100's noise pattern is more nasal, restrained, and less prominent. 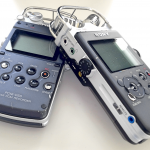 Speaking about noise, how does the D100 compare with a budget recorder? I bought a Røde i-XY to use with my iPhone. I wanted to see how it performed as an ultra-stealth option. I'll write more about that in an upcoming review. For now, let's see how it compares with the D100. To test, I recorded an ambience of the reception area of a mental health hospital. Please note the tracks are not in tandem. The D100 is clearly superior. The i-XY adds a prominent noise floor. The D100 has more depth and better imaging. That's understandable given a $600 difference in technology. 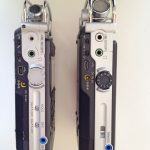 It's important to note that the 4060s are arranged at A/B, while the D100 is a mock-ORTF set up at 120 degrees. So, placements of specifics will naturally differ. Just the same, the quality of the 4060 microphones and the 722's preamp is apparent. It's especially striking realizing this after hearing how much the D100 outshines the D50 and the i-XY. 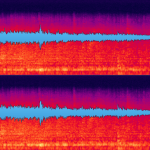 In this comparison, the noise floor of the D100 is greater. Also, while the D100 does have interesting placement of specifics in the sound field, to my ear the 4060's specifics are more crisp and accurate. They also provide a greater sense of space. There is a trade off, however. The 4060s soak up substantially more bass than the D100. This is especially apparent in the second pair of recordings where a distant subway rumbles beneath the library. For the final comparison, I ran all three price points of microphones in a busy food court. The i-XY suffers in quiet environments. I hoped to sidestep that here. Also, being a dense environment, I was interested to hear how the microphones would deal a wash of sound. Surprisingly, the i-XY is somewhat serviceable. You can hear a bit of the noise floor, and it is a bit flat, but for a $100 solution using a mobile phone, it is decent for its price. The D100 improves upon this. However, it does seem overwhelmed by the space and the density of the crowd. This vanishes when listening to the 4060s; the crowd voices are not consumed by the environment like the D100 recordings are. It's interesting to note this progression in the following set of tracks. These feature closer, distinct voices. Listening in sequence shows how the definition and specialization of the voices improves from i-XY to D100 to 4060. 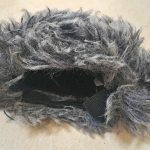 I've also included a few "wild" D100 field recordings. They aren't compared to another microphone. Some are mastered. The first track was recorded in a huge library with quiet, distant crowd and some occasional crisp book sorting. Note the presence of the preamp and the distance between the voices and the book sorting. The next sound effect was captured at the entrance of subway station. 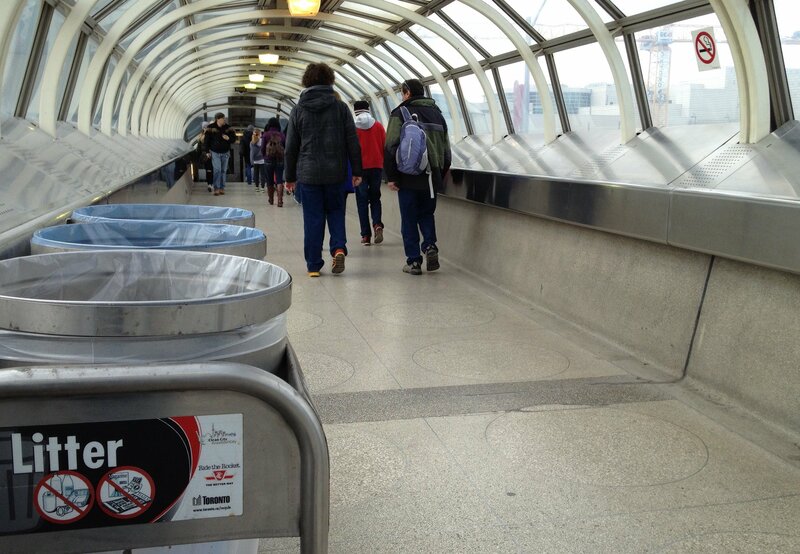 It's a noisy place with a wash of HVAC and a loose, distant subway sound. 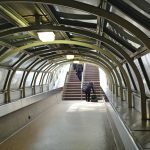 Hear how the background subway compares with nearby token and turnstile sounds. Also hear how the wash of the HVAC and the subway compete in the track. 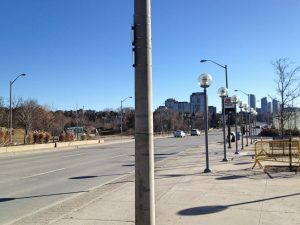 The streets of Toronto shut down one morning last fall for the yearly marathon. This track is mastered. I believe I notched out some annoying low-end tones. What remains is some interesting detail of thousands of running shoe footsteps passing, runner voices, and some cheers placed nicely on the left side. 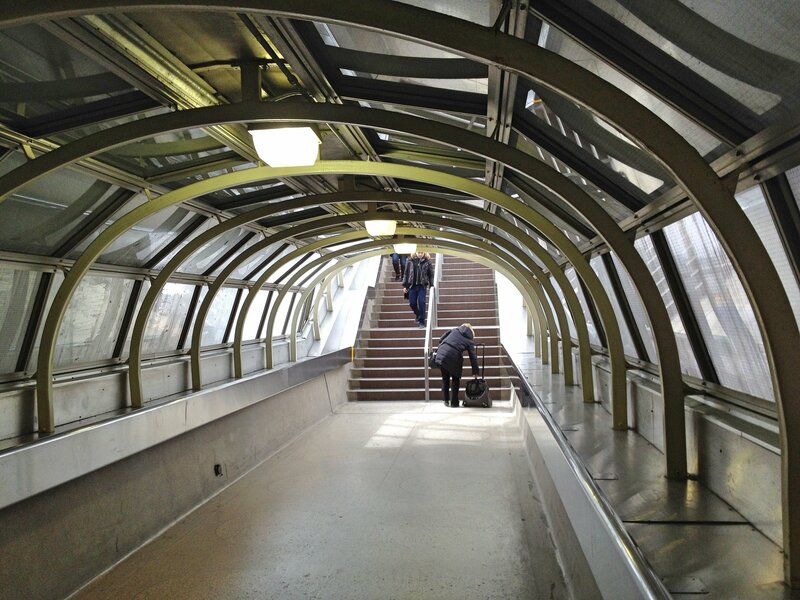 We return to the subway station to hear a field recording of a subway approaching and stopping. It deals decently with a loud sound. However, I find the richness of the subway wrestles with the reverberant nature of the space, and the track feels a bit washed out to me. The final ambience features three men chatting in a cafe. I was surprised that the muttering voices cut through the background kitchen fans. I did find the milk frother and espresso machine had good detail. The D100 has excellent sound stage, depth, and breath. Specifics are placed more accurately within an ambience. The spectrum is represented more fully. The preamp is reasonably quiet. It is far quieter than most portable devices. The sound quality improves upon D50 recordings. Compared with other microphones, I've found the D series adds a lot of low end. I do not find the D100 works well in reverberant places or dense environments. It can't differentiate detail in these places, and sounds a bit like mush. Overall, I think the pros are substantial for the price point and form factor. I feel the cons are reasonable for the same reason; we can't expect it to perform like a kit that costs $2000 more. I decided to get the D100 mostly for the quality of the preamp (for recording quiet sounds), and the general recording quality. Generally, I wanted it because there are times I am forced to use a portable unit (instead of a full kit), and I wanted the best quality possible from a portable unit. So far the D100 is fitting the bill nicely. Sound quality is quite good for a portable unit. Preamp intrusion is low (at levels below 5, anyway). The construction, form factor, and build is fantastic. Operation is much improved via the revised software, the huge screen, and logical button arrangement. Long battery life remains a strong selling point. 32 GB of onboard memory provides a generous amount of recording time. Recording interface: the ability to record at separate levels, a textured recording wheel, and back-lit recording level numbers. Included onboard speaker for emergency monitoring. Handling noise. 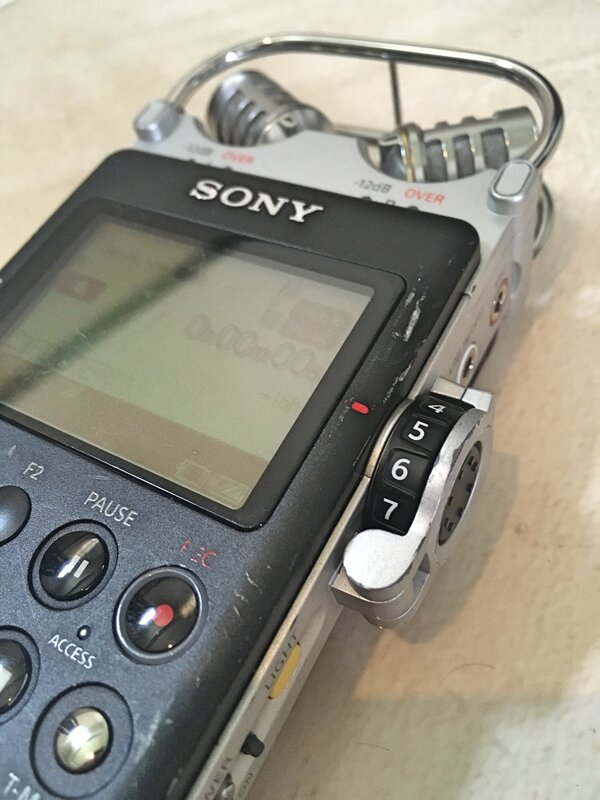 The Zoom H4n has a rubberized exterior that diminishes transferring finger movement to the recording. It would be a benefit if the D100 could improve here somehow. XLR inputs. I'm not sure this is entirely possible given the form factor and aim of the recorder. It's on my wish list just the same. 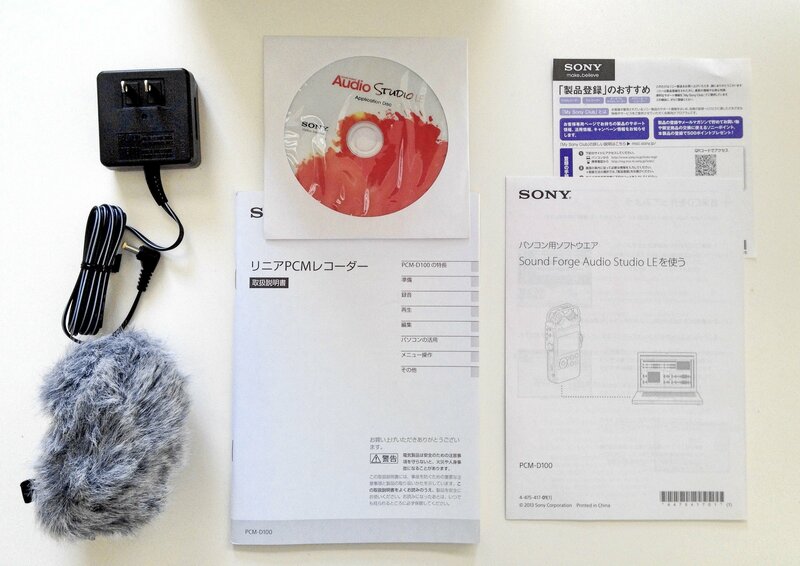 An improved manual, with detail about the the onboard microphone specs, and info about the S/N 100dB feature. Customer service. 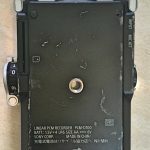 I experienced disappointing to horrible customer service from Sony. 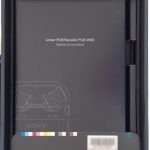 While conducting research for this article, I reached out to Sony's official customer service to answer questions not explained by the manual or online sources. I tried Twitter, email, phone, and online chat. 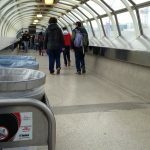 It was a maddening Kafka-esque experience of being shuffled from one department to another and back again with not even a remotely informed answer to my questions. No one seemed to have any sophisticated knowledge about the device. I finally got in touch with a North American rep via LinkedIn who was open to helping. However, I wasn't able to reach this person by phone and received no response to messaged questions. It's been more than six months, and I haven’t heard back from this person. This doesn't instil confidence in pro community support. Given my experiences, I would not expect support for this unit after purchase. 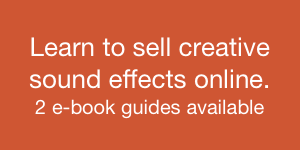 Evidently once you buy it, you're on your own. A “fire and forget” attitude to releasing a semi-pro $800 unit is discouraging. This was my most deeply disappointing experience with the unit, and a drastic contrast from other manufacturers. 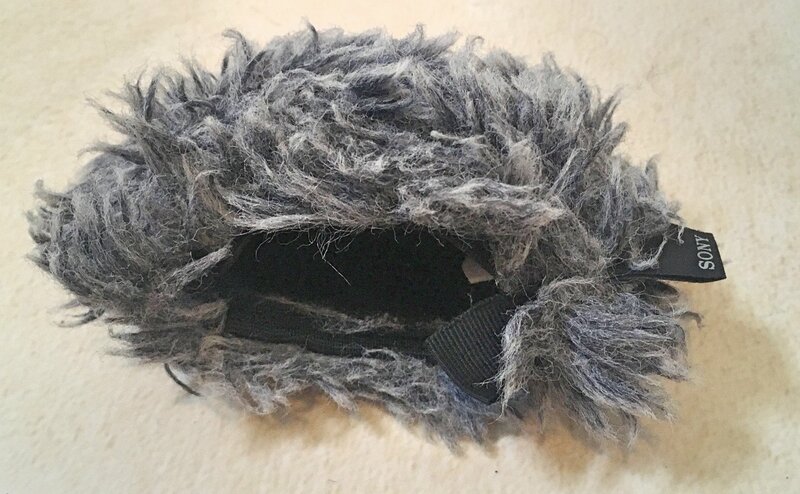 Sony's pro audio division could learn much from Rycote’s approach to customer service. Much to improve upon here. Note: if I do hear back from the rep, I will be happy to update this article. 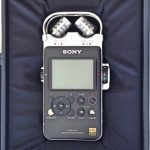 Transom.org reviews the Sony PCM-D100. Sound on Sound take their own look at the D100. 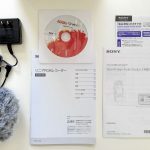 Online store B&H Photo Video shares a video review of the D100. 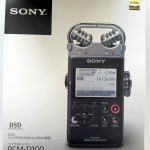 If you have found this review helpful and would like to support me, price check or purchase the Sony PCM-D100 on Amazon.com or B and H Photo Video. These shops will support the website with a small referral amount for your visit, at no cost to yourself. Thank you.